Frankie Valli and the Four Seasons provided a snappy pop soundtrack to the 1960s and early ’70s, then rode a wave of massive nostalgic resurgence as the subjects of a smash, song-filled 2005 Broadway production, Jersey Boys, based on their story. Now director Clint Eastwood dramatizes the saga of Valli and his three original singing partners in a movie—one that takes a lot of its cues from the Tony Award-winning musical. Using several of the Broadway cast members and two of the show’s writers, Eastwood shows how the young musicians came together in the early 1950s and rose to fame, walking a line between petty crime and dreams of stardom. 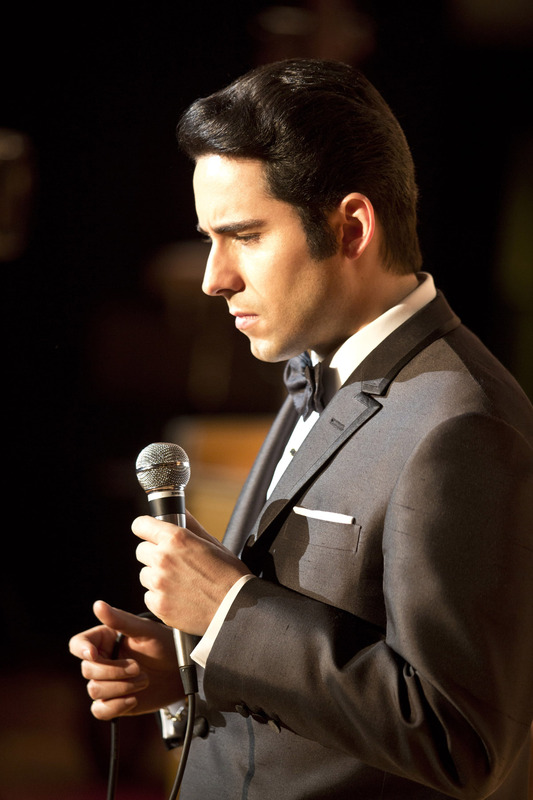 John Lloyd Young plays Frankie Valli. Young, who portrayed Valli on Broadway, is outstanding, especially when summoning up Valli’s uncanny, almost otherworldly falsetto. “A voice like yours, it’s a gift from God,” says Gyp DeCarlo (Christopher Walken), the local mob wise guy, whose eyes well with tears when Frankie sings. 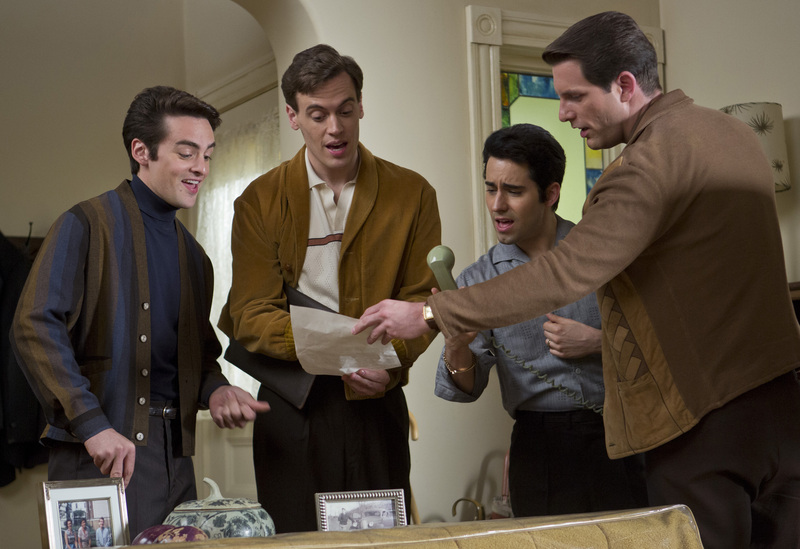 Erich Bergen plays Bob Gaudio, the Four Seasons’ songwriting guru, introduced to the group by Joe Pesci (yes, the actor, here played “pre-stardom” by Joseph Russo). Michael Lomenda is baritone singer Nick Massi, who never has much to say—until he explodes in a quasi-comical rant about having to room with dictatorial group founder Tommy DiVito (Vincent Piazza, the only performer who didn’t play a Four Season on Broadway). By using a cast of newcomers, Eastwood focuses the attention on the story, not the stars. Having the main actors occasionally look directly into the camera and address the audience, however, is hit and miss. A holdover from the musical, it’s meant to allow each band member to provide his “side” of the story, but the voices fail to create a much of a framing device, or add any traction to the tale. And what a tale: Dizzying heights (100 million records, the Rock and Roll Hall of Fame), crashing lows (gangsters, embezzlement, fractured families). But for such an epic yarn, things often feel underdeveloped, too quick to move on. Nothing’s given time to sink in, register, resonate. Eastwood’s a solid, meat-and-potatoes director, but this fascinating, multi-textured story could have perhaps benefited from a bit more fine-tuning and finesse. 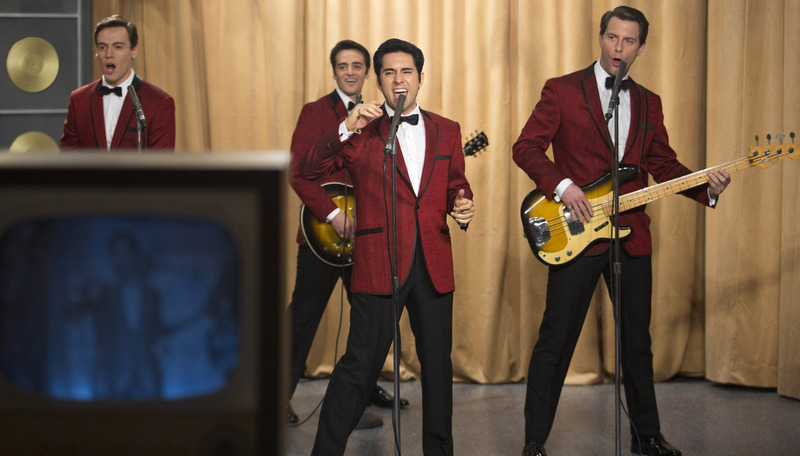 The music and the musical scenes, however, are toe-tapping terrific. And the story, a real-life combination of Goodfellas meets That Thing You Do!,follows a gritty, all-American arc of talent, pluck and luck, punctuated by songs—“Sherry,” “Big Girls Don’t Cry,” “Ragdoll,” “Walk Like a Man,” “Can’t Take My Eyes Off You,” “My Eyes Adored You”—that have stood the test of time. The end-credits curtain call has the entire cast spilling into the streets for a choreographed hoof-it to “September 1963 (Oh What a Night),” the Four Seasons’ last big hit, from 1975. Another nod to the movie’s Broadway roots, it should help a lot of music lovers—especially those “of a certain age”—stroll out of the theater a bit looser, livelier and lighter than they walked in.